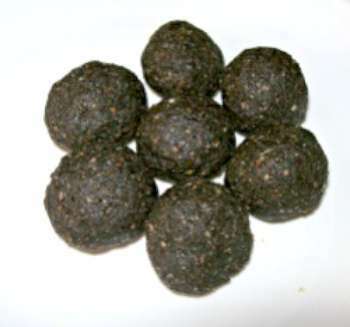 Chigli unde or black sesame seed laddoo recipe is a south indian recipe. It is a festival recipe generally made during the festival of Nagpanchami and Ganesh Chaturthi. Very few ingredients are needed for this sesame seed laddoo. 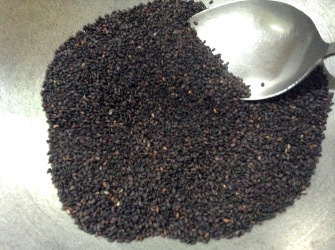 Sesame seeds, known as Tila (Sankrit) Til (Hindi, Marathi, Gujarati, Bangla), raashi (Oriya), ellu or yellu (Kannada, Tamil, Malayalam) Nuvvulu (Telugu). Sesame (Til) seeds are nutritious and black sesame seeds are still better. Chigli unde is made as naivedya (an offering) to the deity. It is a easy and recipe. It takes less than 10 minutes to make. Chigali is yummy too. So can be made during winter months too as sesame seeds provide warmth to the body. Make it as a quick sweet / snack. These sesame seed laddoos have a shelf life of 8-10 days or even longer without refrigeration. Heat a pan and reduce temperature to medium. Add the washed and dried til(sesame seeds). Roast till you get a aroma, which will take about 2-3 minutes. The sesame seeds will start jumping when roasted so that is an indication. Switch off the flame and continue stiring for a few seconds till the jumping of til seeds stops. Cool a little. Add to the mixer jar while still warm. Add the cardamom seeds and grind to powder. 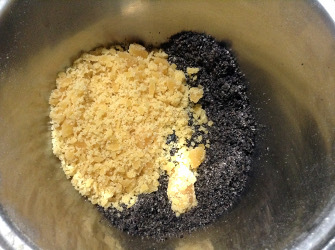 Mix well with a spatula and add the grated jaggery and grind again. Stop and mix once in a while. 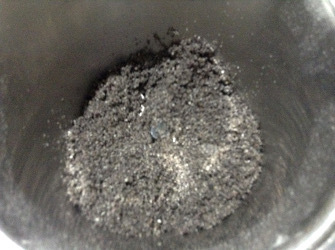 The mixture will stick together as the grinding is done. Take out the mixture onto a plate or a bow. Make small lime sized balls while the mixture is still warm. When you use ghee, the til laddos remain good for 2-3 weeks without refrigeration. 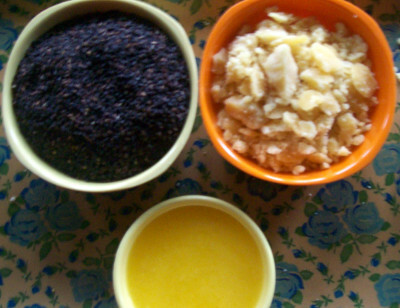 Instead of ghee, a little milk can be used. In case you use milk, refrigerate if keeping for more than 2-3 day.